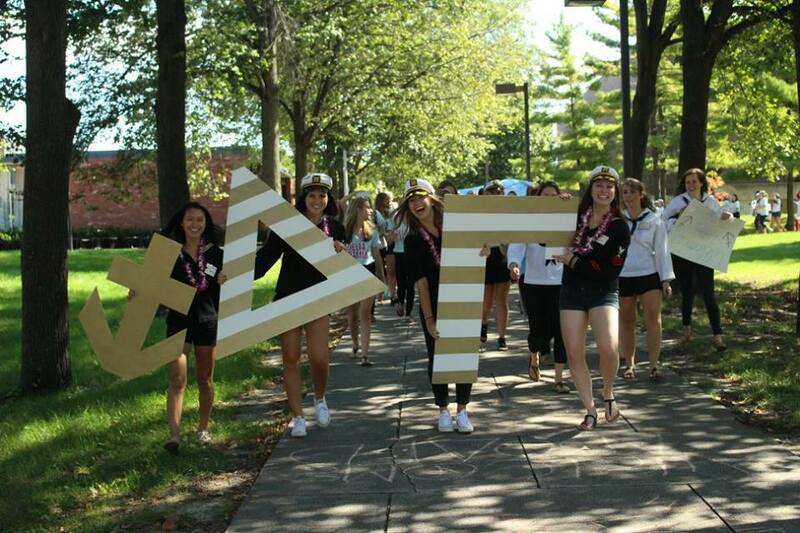 Alpha Lambda chapter of Delta Gamma started as a local sorority called Iota Alpha Omega. Nine women founded the club on February 20, 1906. Finally on March 23, 1921, the president of the Des Moines Delta Gamma Alumnae Association received a telegram from Delta Gamma Executive Offices. It read, "Drake petition granted; congratulations to all." Throughout our history, Alpha Lambda has been one of the strongest Greek chapters in Drake University's Greek community. Fall Semester 2015 semester we raised over $10,000 during our philanthropy event benefitting the Delta Gamma Foundation and Service for Sight. Plus, we earned a 3.49 cumulative GPA, earning us the second highest GPA on Greek Street! Combined, all five sorority chapters averaged a 3.39 GPA. We are so proud of all of our sisters and the entire Greek community for working so hard this semester! We are so proud of all our chapter has done and are continually challenging ourselves to move forward into our future and striving to "Do Good!"